Dentist Dr. David Tycast grew up in St. Francis, MN, north of Minneapolis. He received his Bachelor of Arts degree in Biology from Saint Louis University in 2002. He completed his dental studies at University of Minnesota School of Dentistry in 2007. 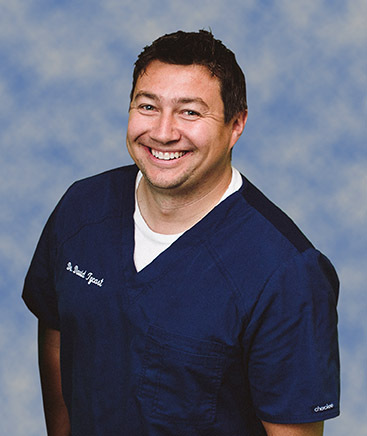 In 2007 he joined the team at Le Sueur family dental, first as an Associate, then as a practice owner. Dentist Dr. Tycast believes in the importance of continuing his education and keeping up with the latest developments in dental research and technology in order to provide patients with the most comprehensive, up-to-date dental care possible. He likes to think of his practice as high-tech dentistry with a small-town mentality. One of the reasons Dr. Tycast is such a passionate dentist because he values the interaction with patients and their families and the importance of maintaining good health. He truly does believe that a smile is the most important thing you wear so it is his goal to make all of his patients smile again. The dental services he specializes include: tooth colored fillings, crowns and veneers, implant placement and restoration, endodontics (root canals), extractions, teeth whitening, sleep apnea devices, and removable devices (dentures, night guards and sports guards). The community of Le Sueur is also very important to Dr. Tycast and that is why he is a current member and past president of the Rotary Club of Le Sueur, MN. He has adopted one of the community parks to help maintain and keep clean along with planting flowers and maintaining the Veterans of War Memorial. In his free time Dr. Tycast enjoys spending time with his wife and two young children and finding joy in all the time they have together. Hobbies include golf, skiing, any outdoor activity and coming up with new and fun ways to make his kids smile! Family is one of the most important things in his life. Why Dr. David Tycast is the best dentist in Le sueur, MN? Dr. Tycast is a member of the Minnesota Dental Association, the Academy of General Dentistry, and the American Dental Association. 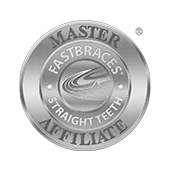 He is also a Master Affiliate for Fast Braces.